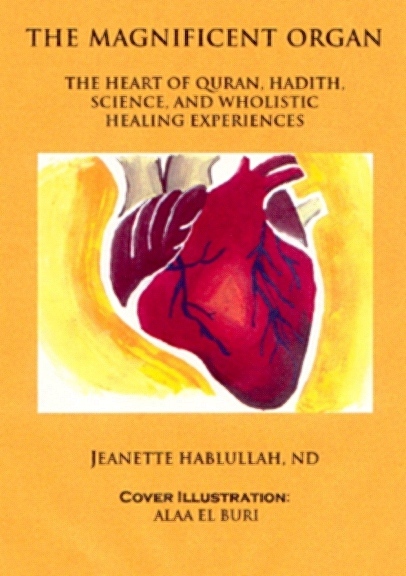 'The Magnificent Organ: The Heart of Quran, Hadith, Science, and Healing Experiences' By Jeanette Hablullah is a book that provides eye opening perspectives of the heart and brain that many have never considered. The book has seven chapters that are an interesting read. Chapters One and Two set the stage by giving the fundamental theoretical information about the link between the heart and brain. There are references from the Quran and Bible as well as researched sources from the sciences to help the reader understand what happens when we fail to balance between the aggressive brain and the calm, gentle heart. This book is a long awaited addition to the bookshelves of both Muslims and non-Muslims with some very thought provoking ideas on how we see ourselves - beyond our physical bodies. Limited preview can be accessed from GoogleBook here. Also read review, excerpts and other information here.